Take Electric Nights Slots by Ainsworth for a FREE Pokies Spin Here. When you think of slot machines, what’s the first place you think of? That’s right, good old Vegas, and this 70’s, disco-themed slot game, definitely brings the spirit of the strip to your pokies game fun. The screen comes alive with images of neon cowgirls, glowing sevens and all the imagery you’d expect from a Las Vegas theme. Now there are plenty of slot games out there, all with different themes and gimmicks. So, what does this particular game have that others don’t. Let’s have a look right below at Electric Nights King Strike pokies free play version by Ainsworth. The difference with this game is the thirty paylines across five reels. This gives the opportunity for more wins, something we all love in a slot game! This means that the lines don’t have to go straight across to win, you can win even if the matching symbols are on a diagonal or a zigzag. So, what about the bets? You can play with anything from 0.30 coins all the way up to 3,000 coins. The interface is really simple to use and you can adjust your bet amount using the easy-to-use arrows. With the range of bets available and the amount of bonuses it has, Electric Nights is a game for all budgets and all types of risk-takers. 250,000 and the major-jackpot certainly packs a punch at 1 million coins. With jackpots like this, you can definitely begin to see the appeal of this particular slot game. In true retro Vegas fashion, the wild card is represented by a flashing neon dollar sign (could it have been anything else). See this symbol, and it could definitely help you complete a few precious paylines. 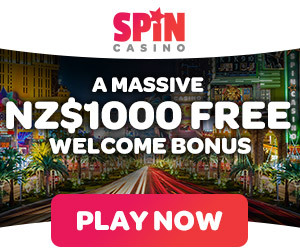 There’s also a generous amount of free spin boosters thrown into the mix, to keep you coming back and playing, which is great to see in a slot game. Lucky you, this is the best bonus in the game! That’s up to twenty-five free spins for you, as well as serving as a jackpot booster. With this game, there are definitely enough boosts and twists to add a little bit more excitement to the traditional slot machine game. Add in the nostalgia from the 70’s Las Vegas Disco theme and it turns into a great little game, with enough opportunity for bigger payouts. Although, it’s not the most groundbreaking slot game ever to come out, it is an easy to use game, which has a decent amount of bonuses to make it worth a spin or two.